German shepherds are my fav. dog ever! I am planning to get two of my own when I get older. They are so kind and protective. Ever since I was a little kid I always wanted a German shepherd. I use to see them on t.v all the time and I fell in love. They have long ears and most of the time they are black, brown and blonde. Fur color is determined by a lot of factors. For example, the fur color of labradors is determined by two different genes. Punnet squares can be used to find the genotype of a trait (eye color, skin color, fur color) and based on this you can determine the phenotype. My parents both have dark brown eyes and I came out with blue eyes. They must of had dominant brown and recessive blue genes, which means I got both copies of the recessive blue gene. 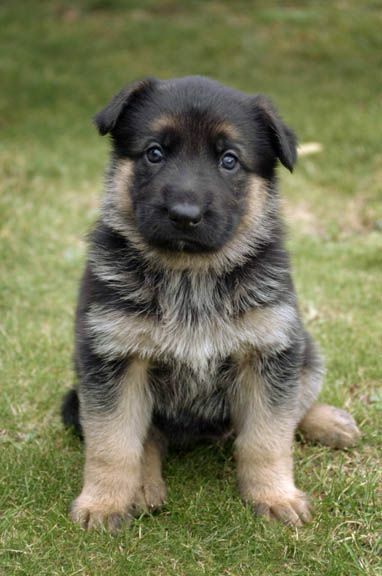 German shepherd are also known as K9 dogs. German shepherds live up to 13 years. This breed comes from Germany. 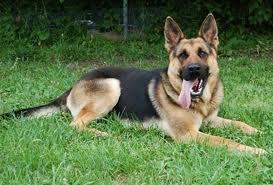 German shepherds are loyal, watchful, courageous and intelligent. They make awesome family pets as well as skillful dogs in the police deparment. Police use them at crime scenes. 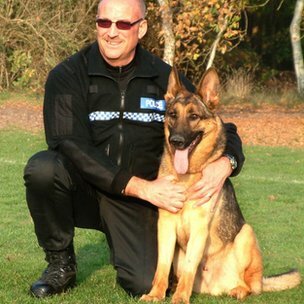 The shepherds are used to find drugs or chase down bad guys. Other then their good looks, a German shepherd’s sense of smell is good for search and rescue missions. German shepherds also are quick at learning hand signs.